Item #:HBZ4429. Thunder Tiger Raptor. CAR TRUCK KIT. UPC Code:605482578117. Warranty:Full Manufacturer Warranty. Shock/Diff Oil. Air Brush Accessories. Air Brush Sets / Compressors. Paint - Air Brush / Bottles. 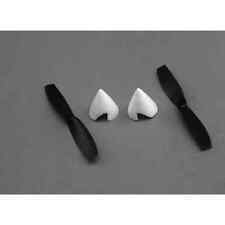 E-Flite Parts. WARRANTY:100% Covered under Manufacturer Warranty. Wheels / Tires / Rims. Trains & Accessories. Tools / Misc. Hobbyzone HBZ4920 Main Wing Champ. 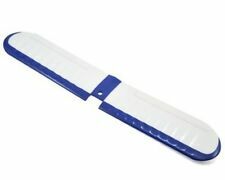 HobbyZone Main Wing. Item #:HBZ8203. Shock/Diff Oil. UPC Code:605482561850. Warranty:Full Manufacturer Warranty. CAR TRUCK KIT. Thunder Tiger Raptor. Item #:HBZ4931. HobbyZone Complete Tail. You Can Trust. Warranty:Full Manufacturer Warranty. Model Kits/Toys. UPC Code:605482147276. CAR TRUCK KIT. Thunder Tiger Raptor. Landing Gear with Tires: Cub. Item #:HBZ5308. CAR TRUCK KIT. Model Kits/Toys. Warranty:Full Manufacturer Warranty. UPC Code:605482108246. Thunder Tiger Raptor. Shock/Diff Oil. Item #:HBZ7127. CAR TRUCK KIT. UPC Code:605482144008. Warranty:Full Manufacturer Warranty. Thunder Tiger Raptor. Shock/Diff Oil. We carry a full selection of beginner to advanced RC planes and RC helis. Trending at $2.99eBay determines this price through a machine learned model of the product's sale prices within the last 90 days. Trending at $10.88eBay determines this price through a machine learned model of the product's sale prices within the last 90 days. 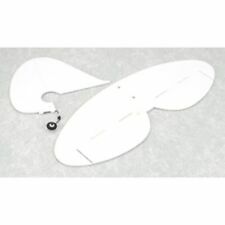 Propeller: 9 x 6; Super Cub LP by HobbyZone. This is a NEW Genuine Hobby Zone HBZ4804 Propeller Shaft w/ Hardware : Mini C. Part # HBZ4804. Accessories (Glow Plugs, Temp Guns, etc.). We have been serving R/C hobby enthusiasts worldwide for over 9 years. Item #:HBZ5318. CAR TRUCK KIT. Model Kits/Toys. Warranty:Full Manufacturer Warranty. UPC Code:Does not apply. Thunder Tiger Raptor. Shock/Diff Oil. Item #:HBZ7129. CAR TRUCK KIT. Warranty:Full Manufacturer Warranty. UPC Code:605482244661. Thunder Tiger Raptor. Shock/Diff Oil. Vertical Stabilizer with Rudder. Two (2 x 20mm) mounting screws included. 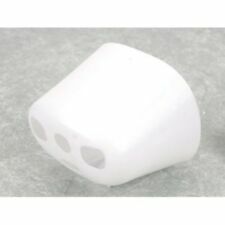 Prop Shaft for the Sport Cub S.
Item #:HBZ4406. Thunder Tiger Raptor. CAR TRUCK KIT. Model Kits/Toys. Warranty:Full Manufacturer Warranty. UPC Code:605482578049. Shock/Diff Oil. Item #:HBZ4921. HobbyZone Pushrod with Accessories. UPC Code:605482147269. Warranty:Full Manufacturer Warranty. CAR TRUCK KIT. Thunder Tiger Raptor. Item #:HBZ7122. CAR TRUCK KIT. UPC Code:605482166253. Warranty:Full Manufacturer Warranty. Thunder Tiger Raptor. Shock/Diff Oil. 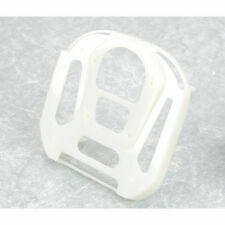 This is a NEW Genuine Hobby Zone HBZ5318 Landing Gear Set : Duet. Part # HBZ5318. Grasses / Trees / Scenery. RADIO / RECEIVER / SERVOS. Nine Eagle Solo Pro. Nitro Engine Parts (Tune Pipes, gaskets, etc. ).